When one thinks of action stars coming out of Indonesia, invariably the first name that pops up is Iko Uwais of The Raid: Redemption and The Raid 2 fame. However, back on this date Feb 10, 1957, an Indonesian action star was born and he made his mark in the 1970's-80's. His name, the one and only Billy Chong! In Chong's honor, I am posting a movie he appeared in with the legendary Chen Kuan-tai! Happy 58th Birthday Billy Chong! 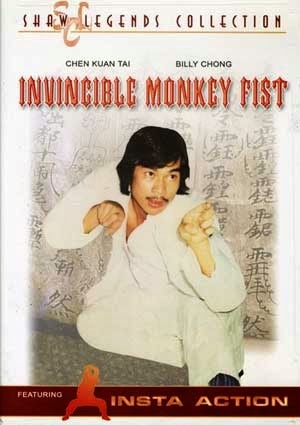 The master of the highly specialized Monkey Fist Kung Fu must go up against a fierce gang that is terrorizing his peaceful village. In real life, Chen is a Monkey stylist!